Saturday is the day for the massive Caribana parade, the climax of Toronto’s celebration of Caribbean culture and traditions held each summer since 1967. Hundreds of thousands of people will soon crowd along Lakeshore Blvd to revel along side the costumed bands dancing to the Soca, Calypso, Chutney, Reggae and Steelpan rhythms. 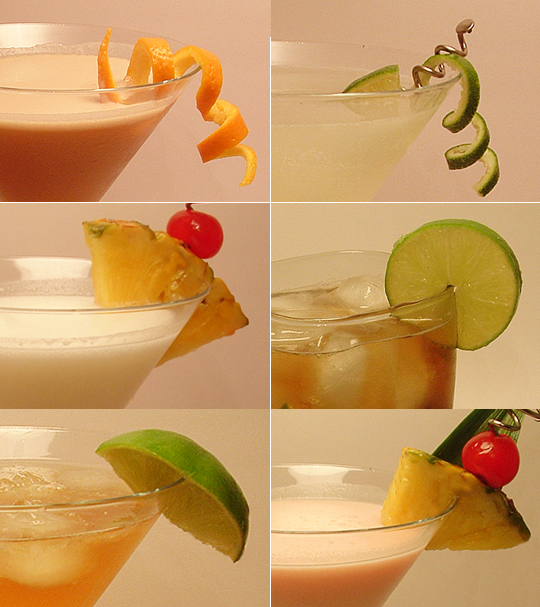 The folks at Madtini Labs are only too eager to join in the fun, and share a selection of six drinks representing some of the tastiest cocktails in the Caribbean. Learn about the Ingredients and Preparation at the links below.